Get to know the upcoming singer-songwriters entering our intimate listening room as we transform our small guitar shop into a house concert style event. 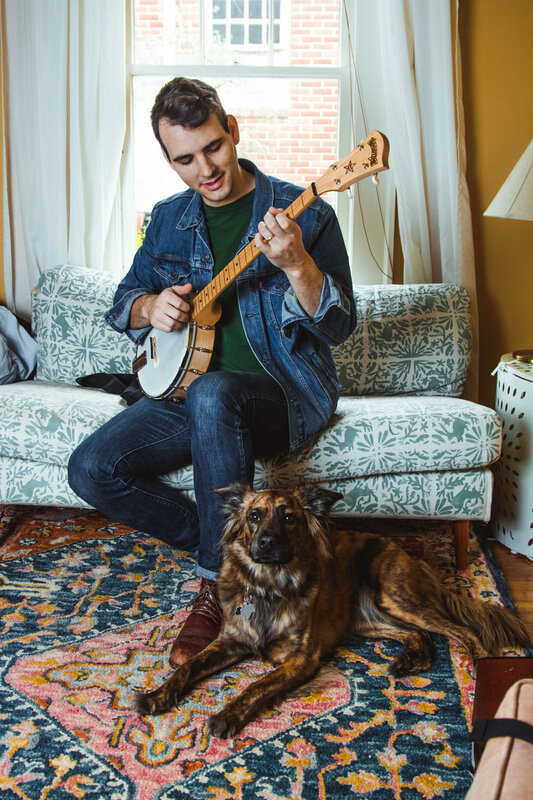 Bring your wine and friends, all ages are welcome and be prepared to meet the shop dog Bear as he reminds you to keep the noise level down and lean into every word from songwriters sharing songs and stories from across the country. Participate in community building through our optional potluck! Don’t feel guilty if you came empty handed though, we will always supply enough food and drinks for the night, so enjoy yourself! Scroll down to see who is in our space this month! We are limited to 50 seats per concert. We will email you within 24hrs with a pay option and confirmation. Let us know how you would like to pay for your ticket! OPTIONAL. Leave your phone number and we will give you a courtesy call one week before the next Concerts @ Corsis. Years of travelling seems to have taught Rachel Laven the benefits of packing light. Riding along in her tour van, it’s easy to notice that she is efficient and unencumbered by the many thankless articles that tie plenty of people down. In her company she keeps her guitar (an Aubade Acoustic, handmade by luthier Michael Armand out of LeCompte, Louisiana), a garden basket of healthy road snacks, a light bag of well chosen outfits and of course, her grandmother’s heirloom Luccheses. It is this efficiency, further reflected in the mindfulness Laven puts into her writing that helps her songs come across as so relatable. Focusing on topics that stem from a watchful, warm perspective, the delivery of her observations has a clean way of driving themes straight to the heart of a matter. She is able to sing her truths without weighing them down with unnecessary words or flowery nuances. This economical ability to perform complex humanity in a clear headed way is what sets her apart as an artist. Laven is an earnest observer. American Roots Music has a long tradition of proficient storytellers breathing life into the characters of their songs. Fox’s lyrics confront the difficulties of his cultural and religious heritage with quiet grief, incisive anger, and an unexpected wit. Above all, he is a storyteller whose narrative landscapes are at once familiar and strange.